Over the past 2 years I’ve learned to master the art of living clutter-free (for the most part). 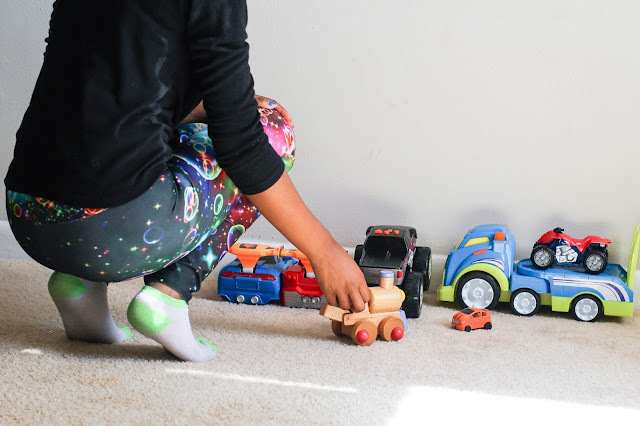 Aside from my biggest battle with having a small child - the toy collection that seems to always grow thanks to family who truly believe children need every eye-catching thing in store, living clutter-free has become the ultimate way of life for many people. Keeping a clutter-free space of course takes a lot of discipline and does require those who tend to be more attached to their belongings to have a bit of motivation to let go one step at a time. In this case, if you have small children, clutter seems never-ending alongside your own personal belongings so here are 3 habits you can start to create to a more simplified, clutter-free home with small children in the midst. This is the find, sell, donate, and recycle stage of de-cluttering. As a mom, my biggest mountain and first order of operation was getting rid of toys that according to my son’s playtime, found useless. Old toys from his infant stage to random gadgets have all been donated or given away to children in my family. My son is pretty heavy on racing cars, trucks, and trains nowadays so those are his daily go-tos which I kept. Golden rule, if it hasn’t been used or played with in 3-6 months, let it go. Great way to avoid things just taking up space in your home. That goes for old clothing your children may have hiding in the backs of their closets and yours, etc. If you’re one of those people who knows exactly where you place something and if it’s moved, you notice immediately? Well, I am a firm believer in giving things in my space a “home”. 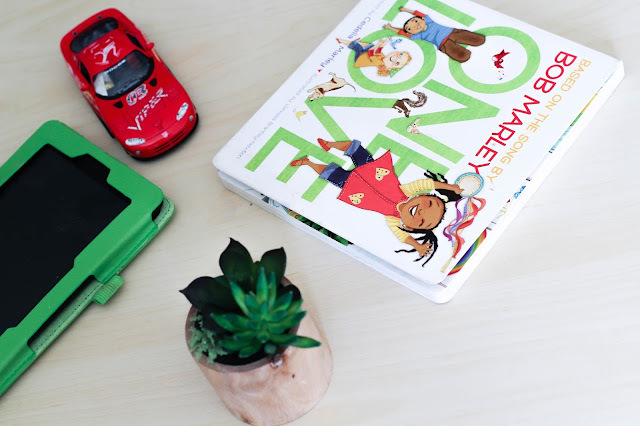 Children have a wild habit of freely picking up and dropping things off wherever they lay so this is a quick way clutter builds. Make it a habit to pick up toys and other items and put them back in their proper places. I do this throughout the day. Also, storing things where you’re more than likely to house them is a good hack to making sure returning items to their space is much easier. I know as parents, we usually have pretty busy lives. Sometimes it may feel impossible to get things done in a day’s time so we tend to put off doing things that could easily be done and out of the way. 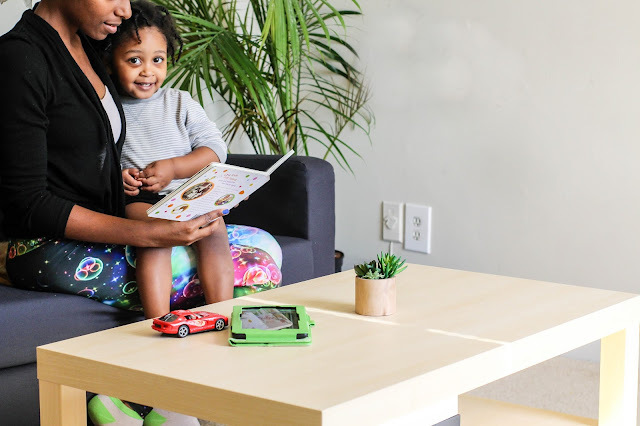 Things like finally taking out the trash, making beds, or folding up the clean laundry that’s lying around on the floor are just a few of things that can be done in good timing. This leads to a less messy space overall. I know after a long day of running behind a toddler boy, I’m beat but these simple habits do allow my end of the day routine to be a lot less stressful and gives me the time to relax and enjoy the evening. 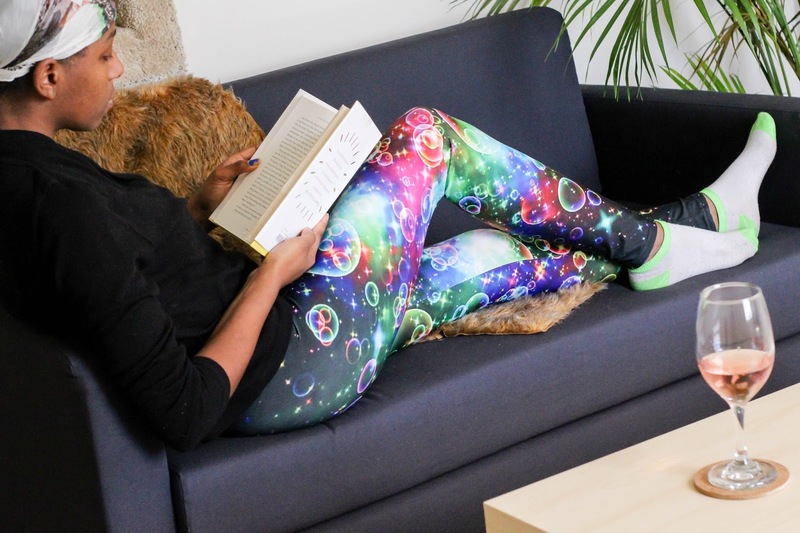 When the kids are down for bed and your home is clean, grab yourself a glass of wine, slip into something comfortable (my latest has been these awesome "Bubbles" Yoga leggings you've been seeing in this post from Chic n Geeks - they feel great and hug in all the right places. You can grab a pair here.) - then show yourself some love. How do you try to manage your clutter at home, whether you have small children or not?